Sheriff Mike Brown is spearheading an effort to equip officers with body armor. For the last three years, the National Sheriffs’ Association (NSA) has organized an effort to raise funds to purchase body armor for any and all law enforcement officers in the U.S. who don’t have a life-saving vest. A recent study by DOJ and the Rand Corporation revealed that over 150,000 of our law enforcement officers do not have access to body armor. All the money raised will go towards purchasing body armor and will be distributed to officers in need through the Protect the Protectors program. 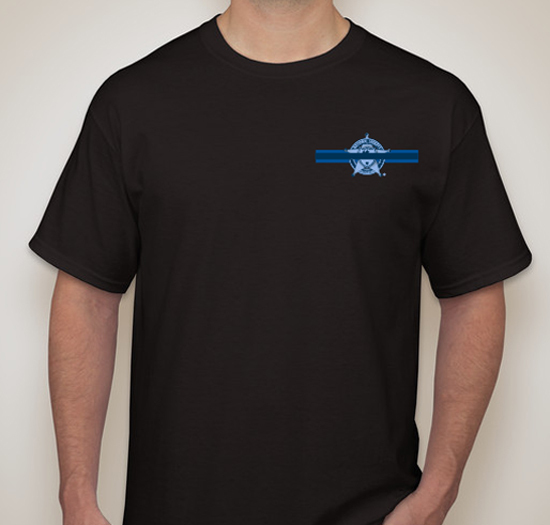 Buy a shirt today and help us provide protective vest for the 200,000 law enforcement officers on the street without one! So far, thanks to your generous donations, we have been able to purchase over 580 high-quality NIJ-certified IIIA vests and distribute them to police officers, sheriff’s deputies, troopers, and other sworn personnel. Thanks in advance for your support of this worthy cause. Along with your donation, please try and purchase at least one t-shirt.